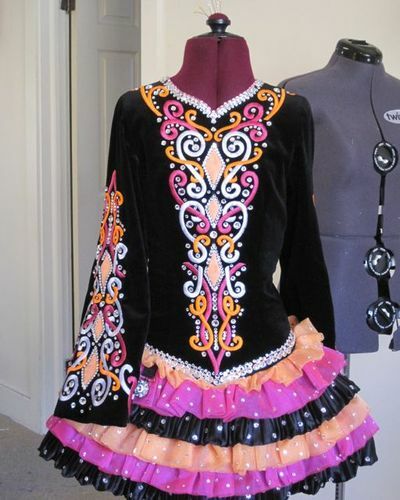 Shamrock Stitchery dress seen in Feis America magazine. 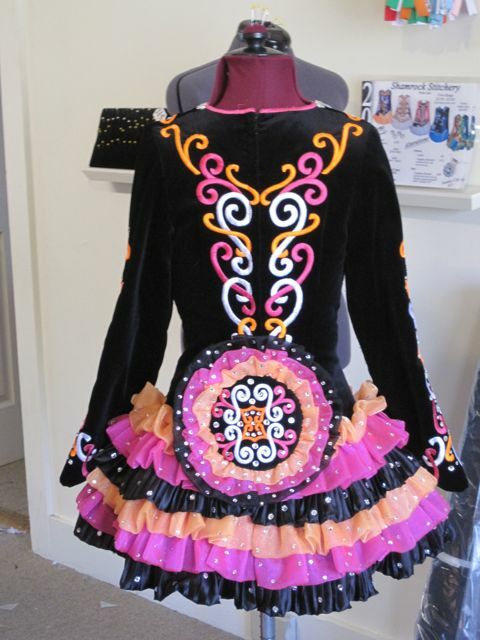 Black velvet bodice with bright pink, orange and white embroidery on front and back. Covered in swarovski crystals which makes it really sparkle on stage! Selling due to growth spurt. Hoping to find a good home for this dress!